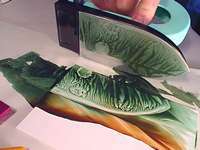 ... can be used as a mini hotplate when upturned. 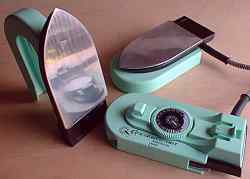 If your "dual voltage" iron stops working read this * This model is no longer produced, but the advice applies to older irons still in use. 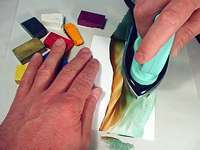 The encaustic art painting iron is the tool that makes instant effects based artwork easily accessible to everyone. It operates like a large heated pallet knife or wax applicator. 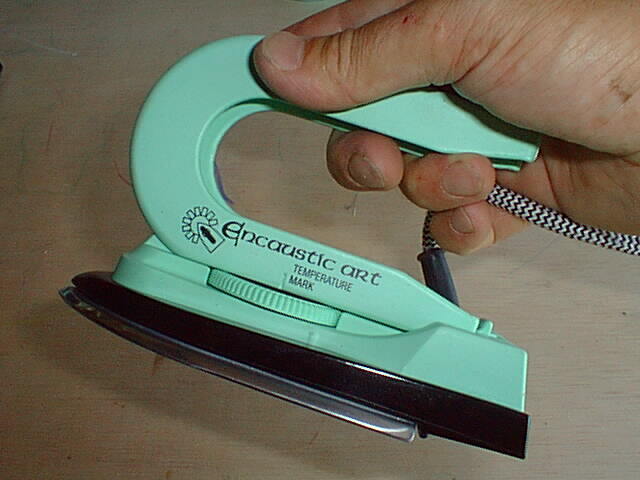 Cleaning with soft tissue is easy whilst the iron is still warm.